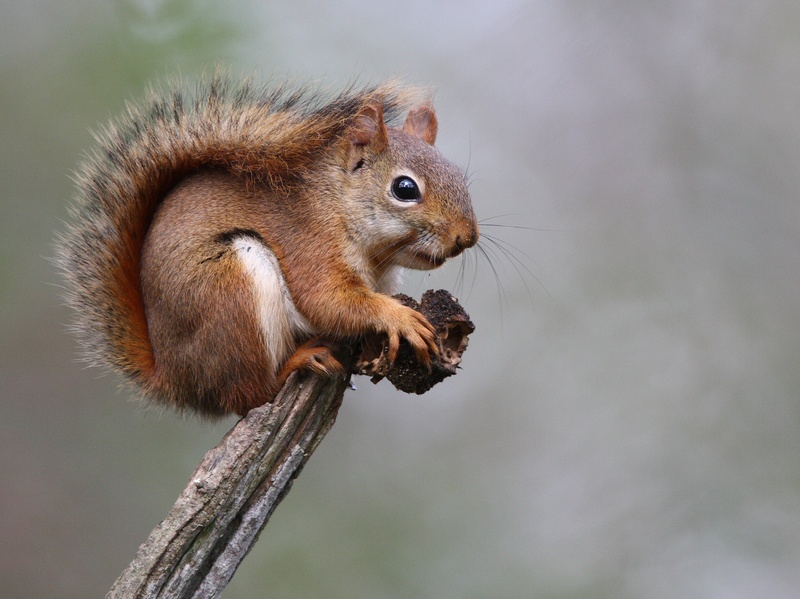 Fox squirrels are the largest tree squirrels and are typically brown-gray above with an orangeish-brown underside. Fox squirrels are most abundant in hardwood forests and woodlots with limited undergrowth. Fox squirrels reproduce twice a year, in the spring and late summer, with an average litter size of three. Gray squirrels typically are gray above with a white underside. 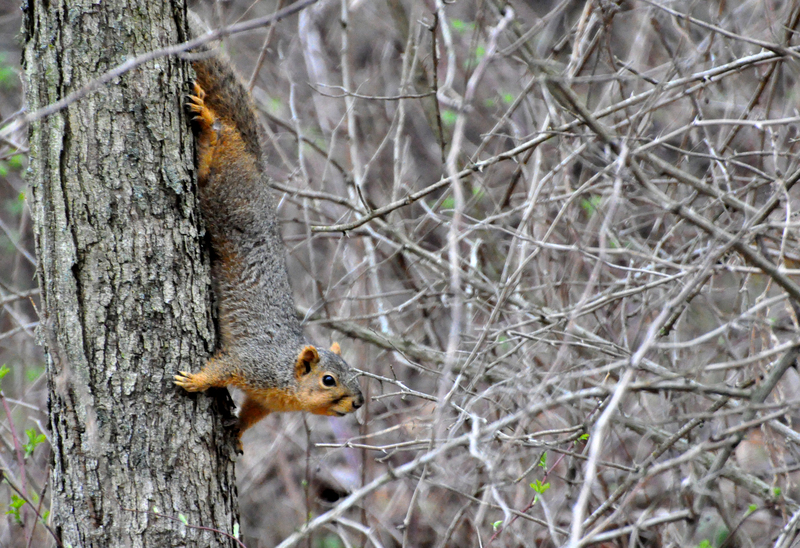 Gray squirrels tend to inhabit more extensive hardwood forest areas with more undergrowth. 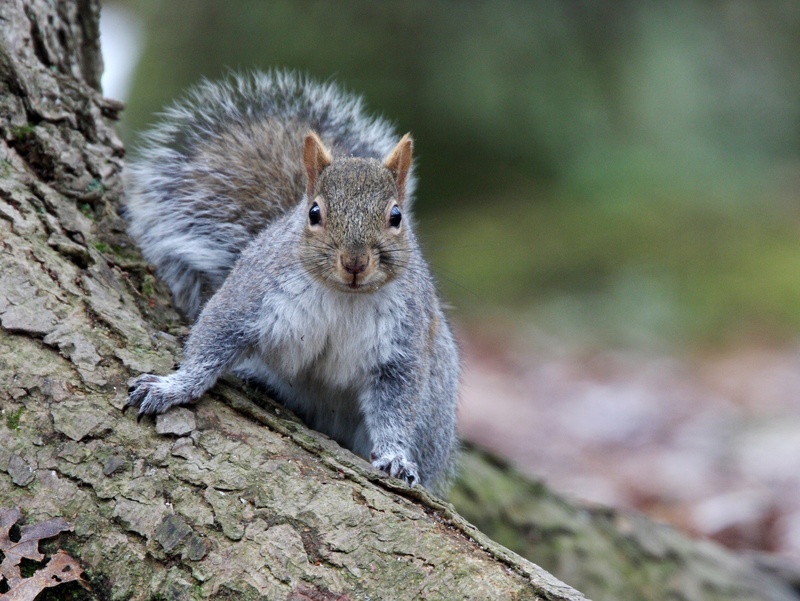 Gray squirrels reproduce twice a year, in the spring and late summer, with an average litter size of three. Red squirrels are significantly smaller than fox and gray squirrels and have reddish-brown fur above with a white underside. Red squirrels are more northern in their distribution and partial to evergreen forests or deciduous forests with an evergreen component. Red squirrels reproduce twice a year, in the spring and late summer, with litters ranging from two to seven. Flying squirrels are the smallest squirrel, slightly larger than a chipmunk, with a sandy brown upper body, white underside, and specially adapted fold of skin and flat tail allowing them to glide through the air. Northern flying squirrels live primarily in Canada but are found in northern New England, the northern midwest and down the west coast into northern California. The slightly smaller southern flying squirrel ranges from southern Canada down into Mexico and from the east coast to just west of the Mississippi River. Flying squirrels also reproduce twice annually, in the spring and late summer, with litters ranging from two to seven.